One LIE is enough to break a trust. One SENTENCE is enough to express your feelings. One SECOND is enough to lose a battle. One SMILE is enough to fall in love. One MISTAKE is enough to lose a job. 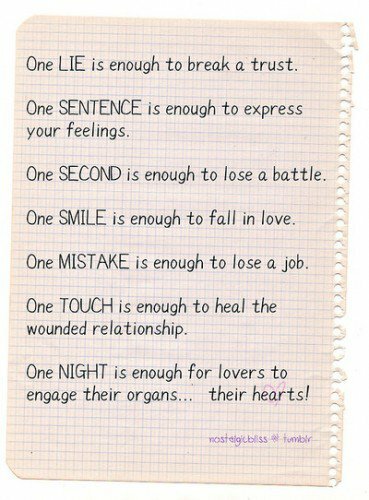 One TOUCH is enough to heal the wounded relationship. 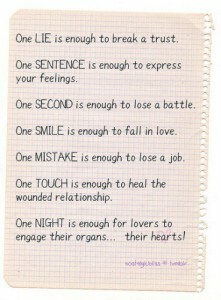 One NIGHT is enough for lovers to engage their organs... their hearts!